The Swartwout family was among the first few hundred families to come to the New World when what we now call New York was known as New Amsterdam. The American branch of the family is actually half Norwegian, as that was the origin of the first American Mrs. Swartwout. Her three sons helped to establish the early Dutch colony, both in what we now refer to as upstate and downstate areas. In fact, one son was the founder of what is now Flatbush, Brooklyn, an area that now has over a million residents. At that time, it was merely a crossroads. The Swartwout family name is Frisian, from the Northern province in what is now the Netherlands. The Frisian Isles are on the coast of the North Sea, near Denmark. The capital city of Friesland is Groningen. Today, about a half million people still speak Frisian as their native language, though they learn Dutch in school. Many Frisian people still long for restoration of the sovereignty of their small nation. Historically, the Frisian people ruled the North Sea as fishermen for 5 centuries. The Frisian horse is a prime example of the animal husbandry of the Frisian people, as is the Holstein cow. In ancient times, a Swartwout is said to have saved Friesland from occupation by volunteering to go outside the burning gate and quench the fire. Prior to Dutchification of the Swartwout family name in the 13th Century, it was spelled Zwartwoulde. The name means Blackwood or Black Forest, the same meaning as Schwartzwald in German, though it likely refers to a different deeply forested region. The first American flag received its blue cloth from a Colonel Swartwout. Documentation shows that he was reimbursed for the blue coat he supplied for the blue field of the very first 13 stars. The thread in the first flag may have come from Betsy Ross who was a commercial seamstress, but the blue field representing the sky came from a Swartwout. John Swartwout was Aaron Burr's second in Burr's famous and deadly duel in which he was killed by Alexander Hamilton. Cornelius Swartwout patented the first American waffle iron in 1869. In commemoration, every August 24th is now National Waffle Day. Cornelius was born in Troy, New York, which is also the birthplace of Rev. Dr. Glen Swartwout. 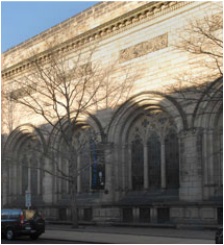 The Swartwout building at Yale University was designed by Architect and Yale graduate, Egerton Swartwout. Only 5 of the 17 Italian Gothic arches planned by Swartwout were actually constructed. Another famous Yale graduate, Eleazer Wheelock, founded Dartmouth College further up the Connecticut River in 1769. Dartmouth College is the alma mater of Rev. Dr. Glen Swartwout. Much of the Swartwout family history is documented in The Swartwout Chronicles. There are copies of this book in the Library of Congress and the New York Public Library, as well as in the Royal library of the Netherlands. Swarthout, Swartout and Swartwood are American variations of the spelling of the Swartwout surname. "Make everything as simple as possible, but no simpler."